Will be rather curious to see if Norwegian singer/songwriter/multi-instrumentalist Sylvaine is met with the same kind of derision and spite as Mykrur, for after all, metal is a big, bad all-boys club, right? (Embarrassing that such things are even a topic in 2016.) A veritable one-woman band with the same atmospheric luster and deep, post-metal gaze as Alcest, Sylvaine earned her stripes with her 2014 self-released debut Silent Chamber, Noisy Heart. The success of the album helped land her an opening slot on Alcest’s South American tour, and perhaps more importantly, a deal with Season of Mist, with Wistful being the first result of the collaboration. 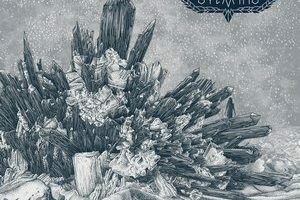 Really, let’s not even try to split hairs: Sylvaine is right smack-dad, firmly, staunchly, in the same misty, reflective bucket of classic Alcest. The chord progressions and song builds are awfully familiar, yet spun in such a captivating manner that for once, it’s okay to have an easy comparison. Her vocal peddles are suitably soft, almost pop-like, coming in handy on a song like “A Ghost Trapped in Limbo,” an utterly gorgeous stroll through the echoes of indie rock. 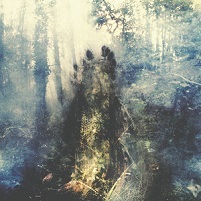 One would think she could probably get away with not having to succumb to forced black metal rasps, as found on “Earthbound” and “In the Wake of Moments Passed By,” but the sheer weight and reflective, melodic haze unfurled on “Saudade” and “Like a Moth to Flame” are simply irresistible. Ripe for the suckers for atmosphere-draped-in-melody (whatever the context), Sylvaine emerges as one of the best new entrants in recent memory. Wistful, as compartmentalized as it is, is wonderfully executed, awash in sunny or cloudy-day strolls, complemented by the soothing touch of Sylvaine’s spacious vocal hues. In earnest, it may not get any better than this given the context, times, and personnel involved. Wistful is simply a (good) dream.